Biodiversity is the variety of all plant and animal life in the world, and the natural systems that support them. It supports all the vital benefits we get from the natural environment and contributes to our economy, our health and wellbeing. We aim to understand, predict and mitigate future threats to biodiversity, through measuring change in terrestrial populations of native and non-native species and communities in response to multiple drivers; understanding the responses to environmental change of individuals, species and ecological networks, and how this affects ecosystem functions and the delivery of services; and developing effective socio-ecological strategies to restore biodiversity and enhance resilience to future extreme environmental events. In our Biodiversity science area, we are advancing understanding of ecological and socio-ecological processes and assessing resilience to climate and land use change through targeted, integrated monitoring and mechanistic experiments. We work with recording schemes and societies with long-term, national datasets to assess the status and trends of species populations through long-term, large-scale surveillance and predictive modelling. Our integrated work platform allows us to deliver both policy-level and on-the-ground solutions for conserving and restoring biodiversity. We work in partnership to design and run a number of national citizen science schemes to monitor biodiversity, including the UK Butterfly Monitoring Scheme, the National Plant Monitoring Scheme and the Biological Records Centre (BRC). BRC has provided a focus for the collation, management, dissemination and interpretation of species observations (biological records) since 1964 and provides technical infrastructure (Indicia and iRecord) to support a range of citizen science projects. We also undertake analysis to quantify the rate of biodiversity change, identify drivers and explore the implications for ecosystem functions. We provide key metrics to inform and underpin Biodiversity Indicators. We study plant-, insect- and microbial communities and their interactions in plant-pollinator interactions, biocontrol and trees as foundation species. 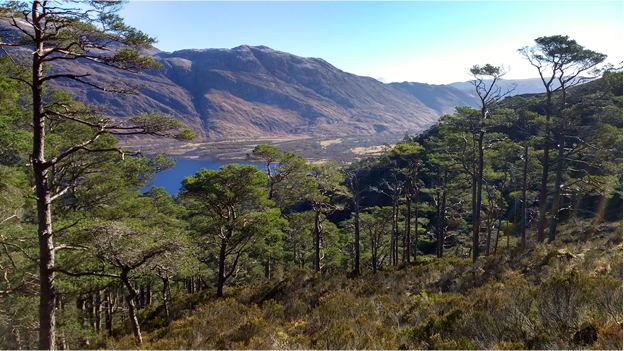 We use the latest techniques from Next Generation Sequencing to the most recent approaches in spatial- and ecosystem service (ESS) modelling to exploit CEH long-term data and large- to national-scale experimental and survey data. Work focuses on impacts on communities and ESS delivery in forest- and semi-natural grasslands to agricultural habitats. The knowledge gained is used assessing the effectiveness of agri-environment schemes and future landscapes. We investigate how species and community characteristics drive ecosystem function and the delivery of services. We assess resilience to climate and land use change. Among our projects is the world-renowned Isle of May seabird monitoring programme. We study the interaction between species and their environment, and the outcomes of environmental change in that relationship. Using a range of tools including computer simulation, genetic data, discrete whole-organism studies in the lab and the field, and long-term studies, we assess intra- and inter-specific processes at population to landscape scales. Our work is informed by, and integrated with, its socio-ecological context, and aims to deliver the scientific underpinning for informed environmental management and policy. We address a diverse range of questions spanning pollinator ecology through to disease and invasion ecology. Our expertise in developing and coordinating national surveys, alongside statistical and mathematical modelling techniques, allows us to assess patterns and trends at various spatial and temporal scales. Much of our research has policy relevance; we have provided evidence to underpin various strategies across the UK, Europe and India by leading large multidisciplinary teams. We recognise the importance of stakeholder engagement and enjoy opportunities to communicate widely to many people through various routes.